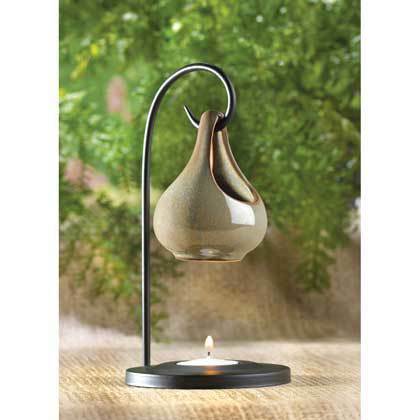 12774 Tear Drop Oil Warmer home decor, jewelry, decor, decorations, electronics, fountains, floor mats, art glass, vases, garden essentials, fireplace screens. Folk art fanatics, here'a treat for you! A moss-green ceramic teardrop holds a generous dollop of scented oil; with a candle's warmth, a long-lasting fragrance fills the air. Each piece is individually hand-painted and may vary in color.